Here's How To Pay Off Your Student Loans Faster | Ready To Get Free? Student loan debt is a big problem. It’s like a financial anchor tied around many American’s necks. Do you have student loans? Would you like to pay off your student loans faster? 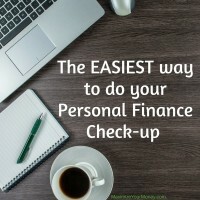 Here are some thoughts and resources to help you achieve that debt-free goal. We’ve worked with recent graduates in their 20s, and even parents in their 60s, who all have student loan debt. It’s a huge financial burden that is causing hardship for millions of people. There are approximately 40 million Americans who are currently carrying some level of student loan debt. The class of 2016 graduated from college with an average exceeding $36,000 in student loan debt. Think about that. The average is $35k, but almost a third of students graduate debt-free. That means the actual balances carried are often much larger than that average. In fact, we’ve helped people whose student loans range from $20k+ to more than $140k. A recent study shows that a full third (36%!) of people with student loans believe they’ll never pay it off. Let that sink in. That’s a LOT of people who believe they’ll be making student loan payments until the day they die. It doesn’t need to be that way though. There are definitely ways to help pay off your student loans faster. Certainly faster than 60+ years! A surprisingly large number of people we’ve worked with believe there is no possible way to graduate from college without student loans. That’s an unfortunate perspective. And it’s false. Now, if you have student loans already, how can you knock them out faster? Did you know that if you make one extra mortgage payment per year you can pay it off 4+ years faster and save about 20% in interest costs? The same principle works for student loans. By making either an extra payment once (or more) each year, your student loan will be paid off faster and you’ll save thousands of dollars in interest. 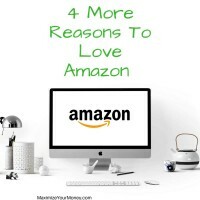 Just as good of an option, and in some cases better: Add some money to your payment each month. Even if you can only spare an extra $20-$30, putting that toward the student loan will add up nicely over time and help you save a lot of money. For a 20-year loan of $35,000 at an 8% interest rate, the payment is about $293/month. Adding $20/month to the payment will allow that same loan to be paid off in just over 17 years. If you were to send an extra $50/month you could knock of yet another three years and be student loan debt free in fourteen years. This option is especially useful to pay off your student loans faster if you have high interest rates. Life situations change. It isn’t uncommon to have a high rate initially for your student loans. Think about it: You’re young, with minimal assets to your name, and perhaps mediocre credit. But now it’s been a few years and you’ve made financial progress! Why not check to see if you can qualify for lower interest rates on your loans? It can have a much bigger impact than many people realize. Let’s start with the same information as above: a 20-year loan of $35,000 at an 8% interest rate, the payment is about $293/month. If you could drop that interest rate down to 5% while making the same payment, your loan would be fully paid off in just over 15 years. If you qualified for a 3.5% rate (yes, they exist) your student loan debt would be paid off in a bit over 12 years! Sofi is the largest student loan refinancing service. And their results are impressive! Their average customer saves $288/month and more than $22,000 total over the life of the student loan payback. $288?? Just think of how much faster you can pay off your student loans faster if you refinance then allocate the savings as an extra payment! That would be a powerful money-saving combination there! They’re also one of the few solutions that handles both federal and private loan consolidation. You can check what your rate might be right from their website. They also have a calculator to see how a refinance or consolidation might impact your payment and total fees. Additionally they have useful resources like a chart showing a comparison of consolidation vs. refinancing benefits. If I had student loans right now, this is the first place I’d check to save money. You can apply for a loan refinance once, with them, and they’ll work with multiple banks to try to find the best rate for you. They state that users generally save over $10,000 by refinancing into rates as low as 3.15% (as of 11/6/17). You can check what your personal rate would be right from their site. There is also a calculator that helps you understand how much you might save based on your current loan details and a potential refinance option through their sources. It’s definitely worth checking them out. I can’t think of any reason not to check both of these services to compare the offers they make for you. There is one potential downside: you need to meet all the requirements and complete the full term of work required to get any forgiveness. 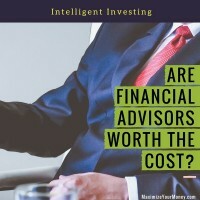 Since these forgiveness programs are typically used in conjunction with income-based repayments, your payments will decrease but interest charges will accumulate. If you wind up ineligible for forgiveness for any reason, you’ll be stuck with greater interest charges. Check out the two resources above linked to their site for more information on Public Service and Teacher student loan forgiveness options. Personally, I would pursue a combination of #1 and #2 above. While I like the idea of student loan forgiveness, it’s risky. It also ties you into a position for an extended period of time (often 10+ years). If there were an opportunity for you to change careers – for any number of benefits – you’d have to think long and hard about how that would impact your loans. The best plan: getting the lowest interest rate possible, then putting that savings toward extra payments. I say just tackle those loans head-on and get them paid off as quickly as possible. With these tips you’ll likely be able to pay off your student loans faster than the default timeline. What do you think? Have you refinanced your student loans? Why or why not? I’m always surprised when I hear 50-year-olds saying they’ll never pay off their student loan debt from 20+ years ago. Even my fellow millennials say they don’t ever think they’ll pay off their loans. Argh! I’m living proof that you CAN do it. Proud to say we’ve paid off $40k of loans and counting. They’ll be gone by the end of 2018, just two years after focusing on them. 36% believe they will never pay their student loans off! That’s a huge amount. I have to admit, a year or so ago, I would have considered myself one of them. These are some great tips to help people get a handle on their student loans. Yeah Vanessa, that is huge. It’s very unfortunate that people feel so overwhelmed by student loans. There is hope though! Right now, 100% percent of my side-hustle money is going towards student loans. Thankfully, student loans are the only debt I have, and the interest rate, while not great, isn’t horrible. The bad news? I did take out more student loans than I should’ve, so my principal balance is much higher than it should be. But I do see the light at the end of the tunnel! It’s awesome Joe that you’ve taken the steps to build a side-hustle and allocate that money to paying off the student loans! Great work! 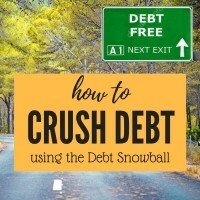 I appreciate you stopping by to share that comment and perhaps help motivate other people to crush their debt too. Nice post Brad! Here is a suggestion from my end. This suggestion is only for those who’re receiving their paycheck bi-weekly. They must have try to make payment of student loan amount in every two weeks. 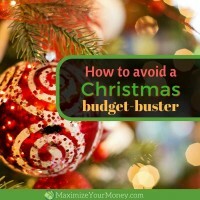 By doing this, they’ll make a full extra payment over the year. Thanks Elfriede! Yes, bi-weekly payments are a great idea for any debt. 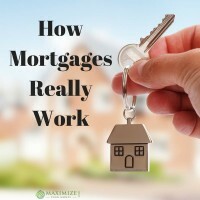 I know many people who have used that “trick” to help pay off their mortgages faster. Thanks for sharing! Great suggestions here Brad! I’ve always told people to be careful with the loan forgiveness option, because there’s always a risk that the law will change and you’ll be stuck with all this debt and no strategy to get rid of it. But great tips! Thanks for sharing.